Social Map Sharing Send a link to your shared maps or an individual map to your co-workers, family or friends. Secure, Quick and Easy Secure SSL, and the main functionality are conveniently located on the toolbar for a short learning curve. Map Spreadsheet Quickly add multiple map points from a data file; use our "Bulk Add Tool" to Upload a spreadsheet. Customers List Help your Sales Team to sell more products locating your current and potential customers. Corporate Maps Create a map for your business; pin point your contact list and share it with your associates. 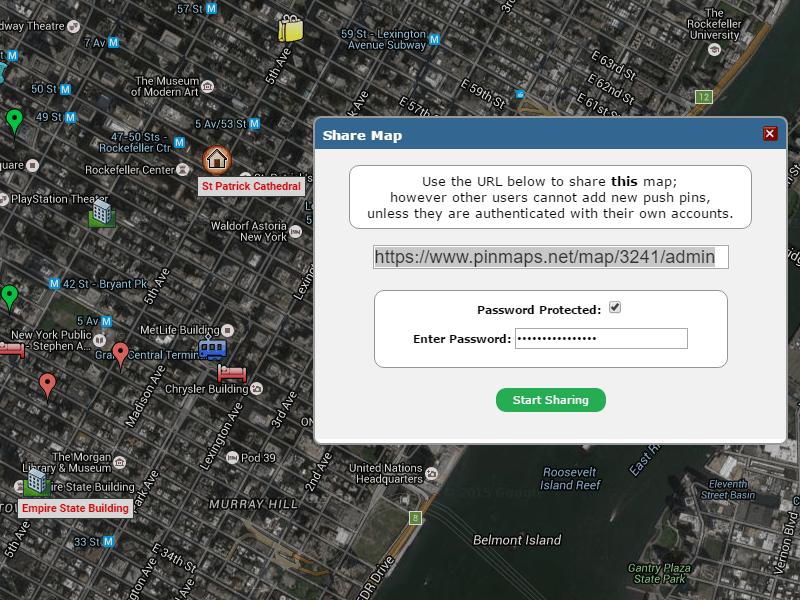 Password Protect When you share a map you can restrict access to it, so only the people you want can see it. Research & Learning Another way to use pinmaps is to create maps for educational or research projects. Convert to PDF We offer an array of settings that allow you to convert your map to an Image or PDF document. Upload a spreadsheet and quickly add multiple map points from a data file. Help your Sales Team to sell more products locating your current and potential customers. 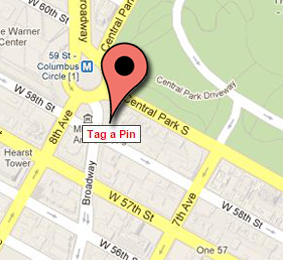 Create a map for your business; pin point your contact list and share it with your associates. We offer an array of settings that allow you to convert your map to an Image or PDF document. The company that I work for requires that I visit 29 stores. I found you guys on line by Google. I was able to create a map and input all the address and it pin-pointed the locations and I mapped the address. I printed a wonderful map that is so very helpful!!!!! Thank you! Thank you! Thank you! I have a map with several locations pinned, and I like that I can edit a map point to change the color of a pin (i.e. I have 50 locations I need to visit, which are marked with a red pin, I visited 5 of them today and changed the color of those pins to green), so I know which locations I have already been visited. Pinmaps has revolutionized the way I do business. 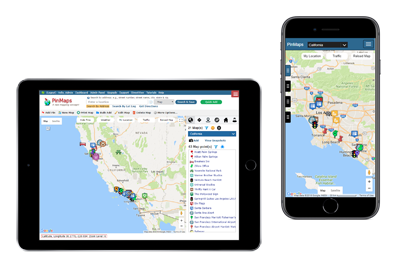 With a 5 state territory and over 400 customers Pinmaps allows me to easily locate, edit details, identify contacts, and even GPS to the exact location of my customer. I have gone from 4 sales calls per day to upwards of 10, simply because of the synergistic nature of the program. My customers are literally at my fingertips with the Pinmaps mobile app. Could not live or work without this program. Pinmaps has really been a huge help in promoting our research through educating people on where global health issues are occurring. 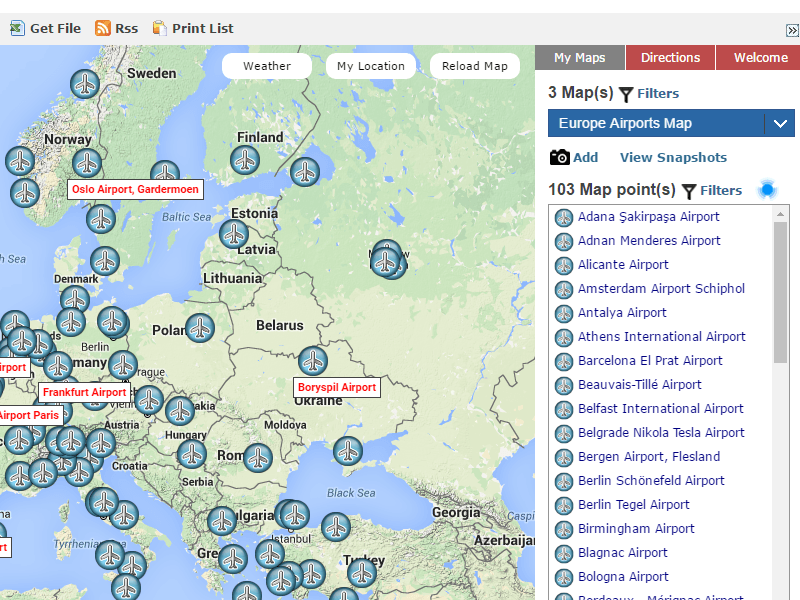 Pinmaps is simple to use, and allows for extreme specificity when pinpointing locations. There are also lots of options to personalize the look of your map, and several ways in which to save and share the map you create. Additionally, the support staff is very helpful in answering any questions that arise. Overall, I'm very satisfied with Pinmaps!" We used Pinmaps to create our prospects map on a 100 x 100 cm, high resolution print. It engaged our sales immediately! The icons indicated our sales representative, we labeled the accounts and a physical push pin is now used to indicate the sales stage our customer is in. When you share a map you can restrict access to it, so only the people you want can see it. 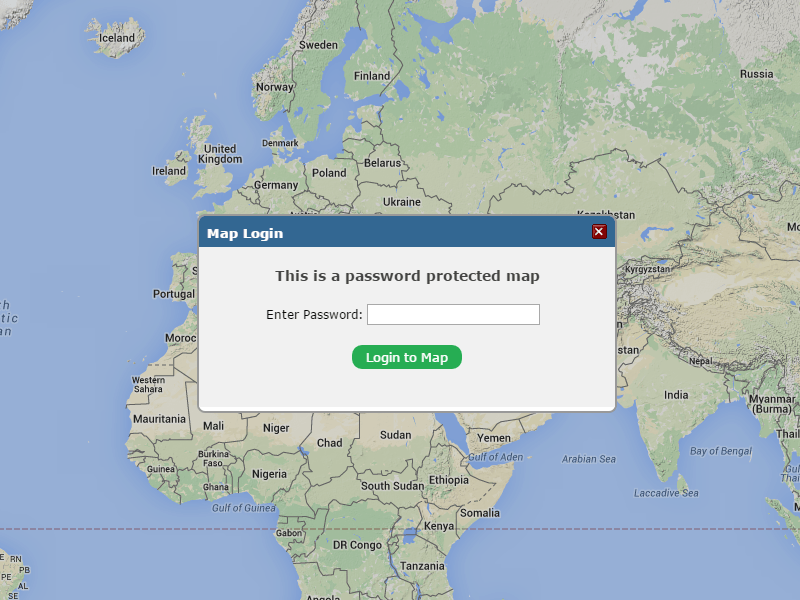 Email a link to your shared maps or an individual map to your co-workers, family or friends. Another way to use pinmaps is to create maps for educational or research projects.